Panini brings Crusade back for another year, but with time with a very different product formation. In its initial offering, Crusade was a one-hit-per-pack type of product. This year though, collectors will find just two hits per box (rather than six) - but boxes will contain quite a bit more of the Crusade inserts and parallels that the products is named after. Will collectors be on a crusade to chase all of these cards down? Let's see what 13/14 Crusade basketball brings to the table. 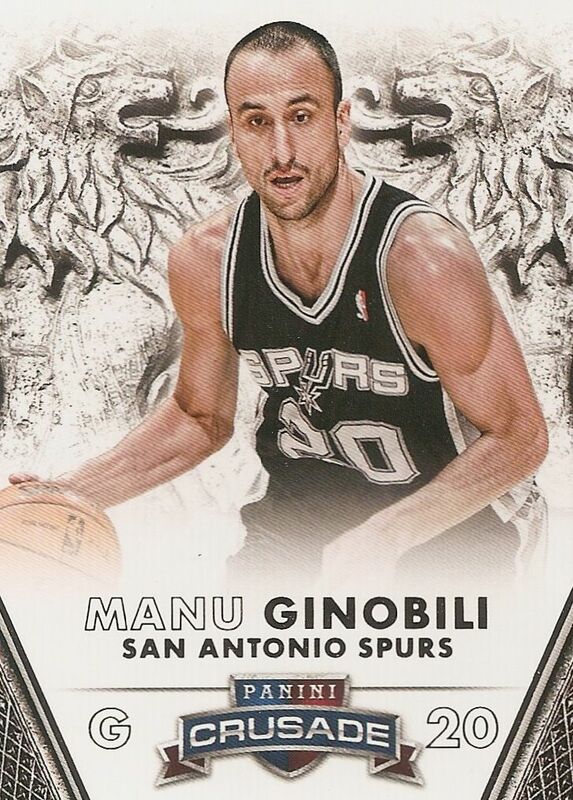 Panini goes with the classic white-themed look that worked so well for them in many of their releases. These base cards are a bit busy, but everything on them comes together well as none of the elements on it are distracting. With a name like Crusade, people expect something with a medieval theme, and that is exactly what collectors get with the product. Crusade is a bit like a tone downed Crown Royale. This product doesn't have the flamboyant die-cut and excessive use of foil, but rather it goes down a much more subtle route to get a similar feel and effect. The base cards are well executed and are visually nice. My only issue with the base cards is that they feel a bit out of place when opening the packs. You actually won't find many base cards in the product... they are outnumbered by the Crusade inserts and other hits in the packs. Compared to those other cards, these thin base cards seem like 'toss-ins'. If these base cards were printed on thicker stock they would have held up better against the other cards included. The back of the base cards has a strong design. Like the front, the back has a lot going on, but the designers at Panini have gotten it so that nothing on the card distracts - which is hard to do! 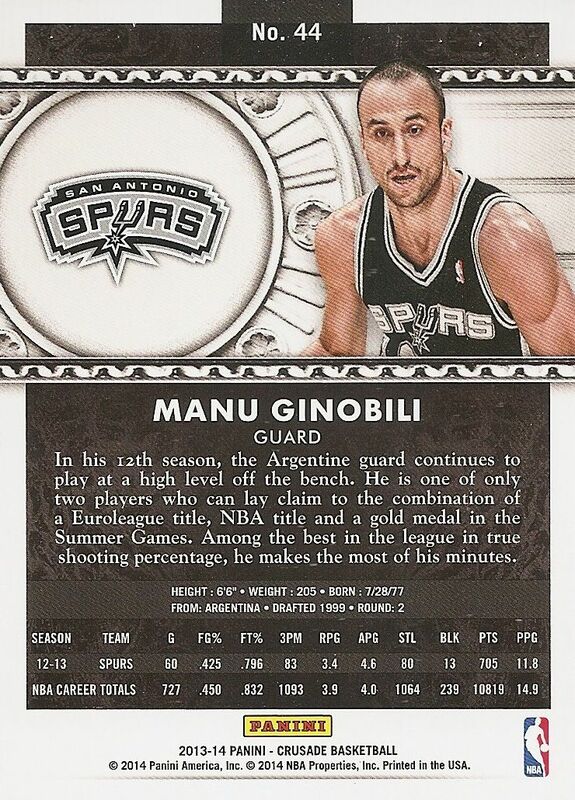 I am a big fan of the upper half of the card containing the team logo and player photo. The use of team colors for highlights where the card number and stats are is also appreciated. These Crusade card backs impress me - strong effort here Panini! The rookie cards in Crusades don't get much special treatment. 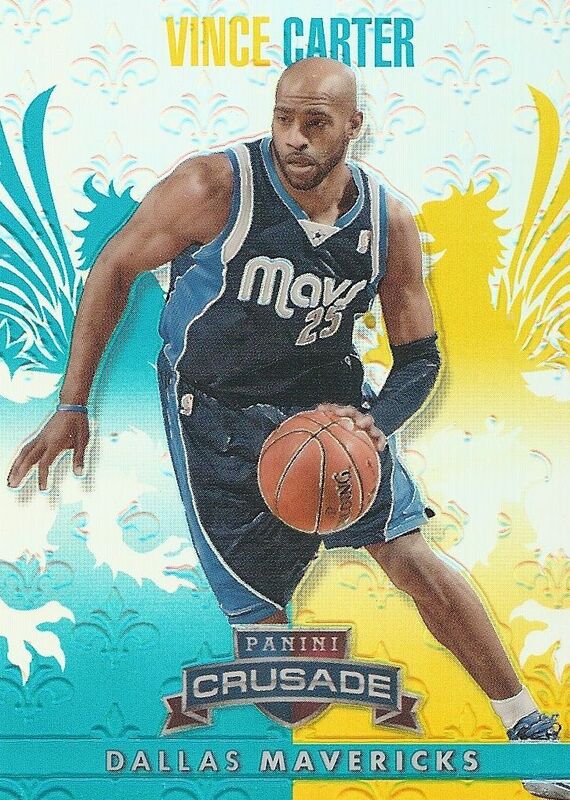 They are simply given the standard rookie card logo in the upper corner and flip-flop the Crusade logo and player name. Collectors will find the the player's college stats on the back. 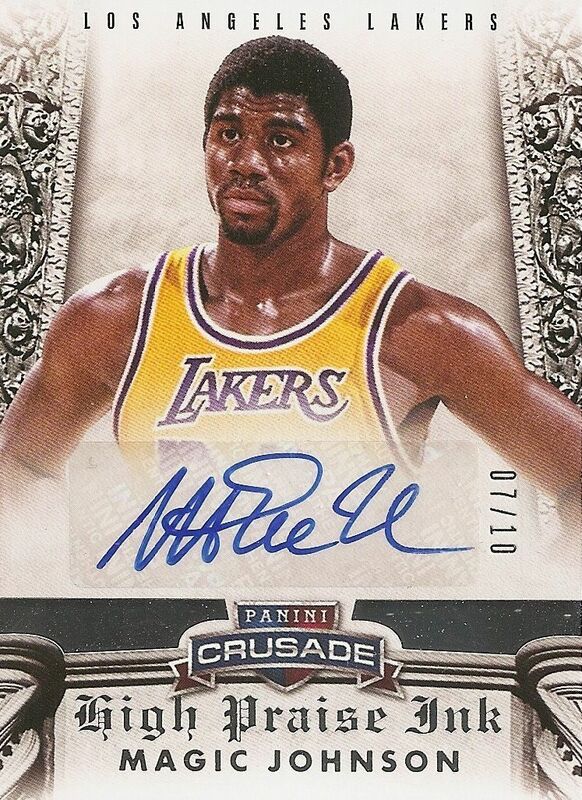 The rookie cards come in the middle of the Crusades base set, and retired player cards follow the rookie cards to round it all out. I found it curious of Panini to dramatically alter the format of Crusade. I guess by doing so, it is now a more affordable product for people to get their hands on. Rather than six hits like last year, this year collectors will find just two - one autograph and one memorabilia card. The insert card count has risen by quite a bit though. 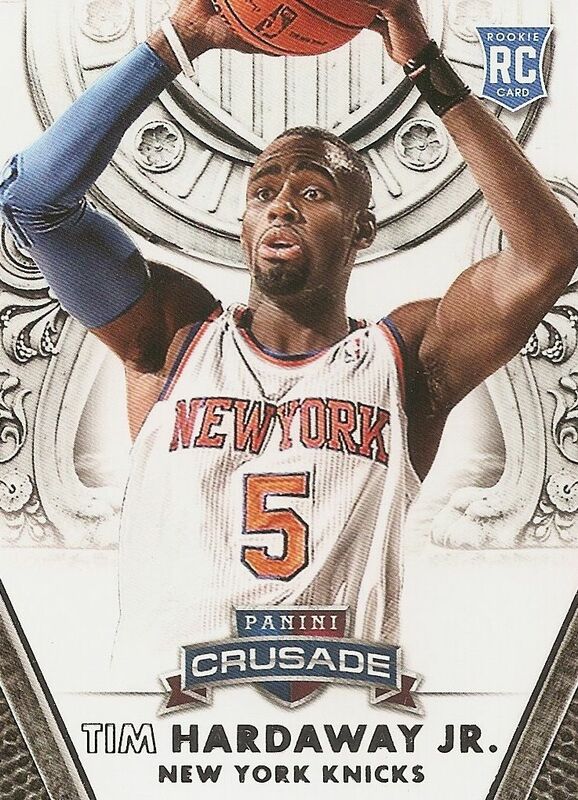 It looks like Panini is banking on the Crusade insert cards to really carry this brand. These foil Crusade inserts are what this product is all about. 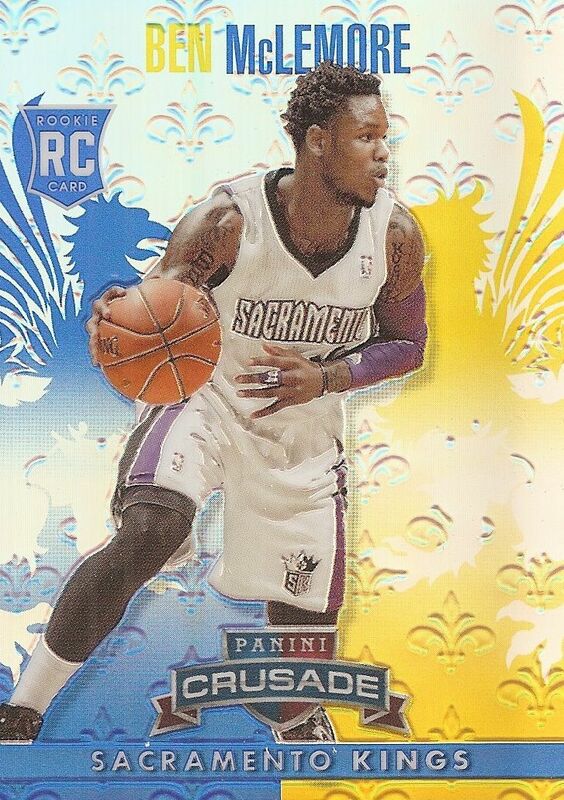 You'll find three of these per pack, usually a couple standard blue versions like this Ben McLemore above, and a numbered parallel as a third card. These cards have are thick, etched foil cards with a rainbow shimmer. Panini could have just had these cards be the base cards and gotten rid of the main thin-stocked base card set. I think many collectors would have been ok with that, but perhaps Panini wanted to keep these cards as an 'insert', which is why they were so popular in the past. The Crusade set is quite large at 300 cards, and the set has an abundant amount of parallel cards to find. Each parallel of the set has different serial numbering, and one of the parallel sets features die-cutting. This set will be quite a challenge for player collectors as cards are numbered as low as ten, five, and one. Regular base-card-like inserts have also been included into Crusade. 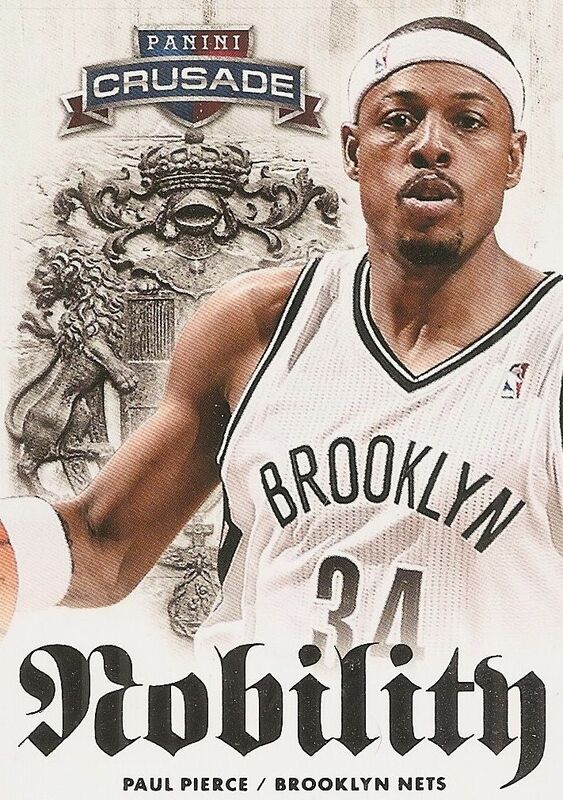 The Nobility card of Paul Pierce shown above is an example of one. I don't really see a point to having these type of insert cards other than to just add more cards of certain players. Panini has also given these cards the parallel treatment. There aren't as many parallels to be found with these, but still, collectors have to be on the look out for one-of-one copies out there. 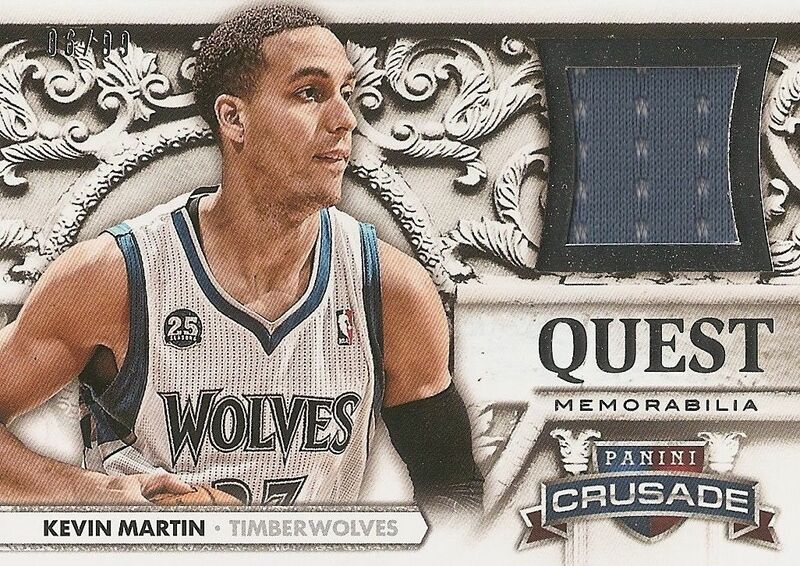 The memorabilia card I pulled out of the review box was this Kevin Martin Quest jersey card numbered to 99. The card itself looks amazing. The silver with the black and white main color scheme makes this card really look classy yet modern. For a jersey card, this looks really great. I also like the fact that the card is numbered to 99 as so often companies don't serial number their regular jersey cards anymore. The back of the card also states that the material is game-worn... which is a very nice addition. Sadly, these cards will not command high values despite all the great things going on with the card. Collectors are just worn out of plain jersey cards. Prime versions of these cards will have better collector attention though. The autograph that came out of this box was the legendary Magic Johnson. This was the silver version numbered to only 10. It's an amazing card to come out of the product. I definitely wouldn't say that this is a typical pull, but it does show that getting these types of bigger hits are possible. I don't know anyone who wouldn't be happy pulling a Magic auto out of a product! 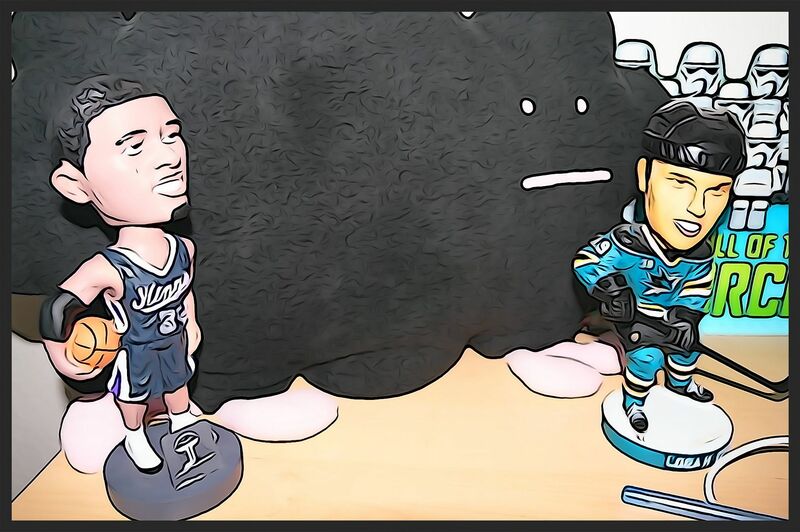 Crusade Basketball this year gives collectors an interesting product choice. If you're someone looking strictly for packs with hit after hit... this isn't for you. Crusade packs only two hits per box, so there are other products out there that would satisfy the hit collectors better. But for collectors who want to chase the Crusade parallel set, this is an awesome product. 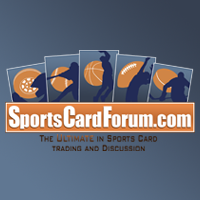 Unlike many of the other sports, parallel cards in basketball have tended to to better than others. And I think that's what Panini is really going for with this product. Getting the really low parallels could make the boxes really worth getting. And Panini has done of fine job of making the foil parallel cards in this set look outstanding. Those who enjoy a shimmery look to their cards will have to get a hold of some of these. Currently, boxes of Crusade can be found for under $70. So in the crowded market place of boxes, Crusade is on the lower-end spectrum of products. And this is mostly because of the low hit count. I think Crusade is worth a buy. 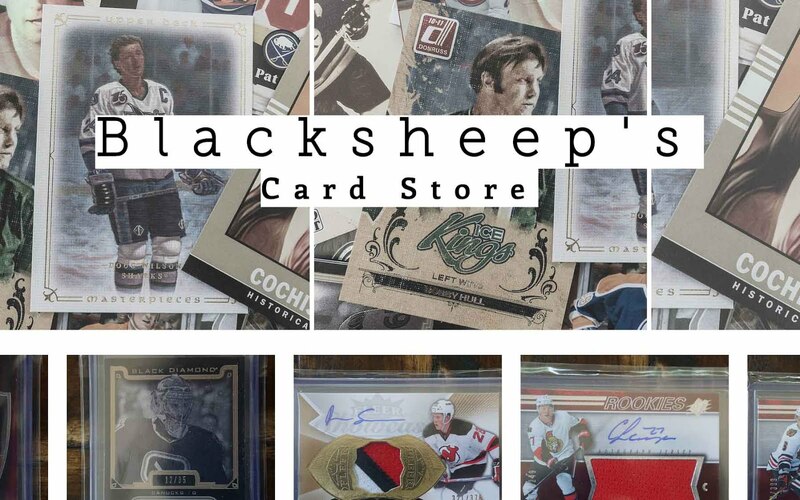 The cards are certainly nice looking, and if you can somehow pull a nice low-numbered parallel or autograph, the price would definitely be worth it! Very thorough review; nice job. I didn't realize that Crusade is no longer a hit-per-pack offering. Anyway, congratulations on that Magic auto! That is a high end hit for sure. I pulled his auto from 2009-10 Bowman '48, and even that one - far more common - now fetches between $40 and $80. That was a crazy hit! I like the foil cards that you get in every pack. It adds another dimension to the product. Nice review, heaps detailed as always!! I would be interested in this if I collected basketball.... based on that huge auto you pulled... so lucky you get free stuff sent to you to review. But you earned it. Well done Panini, glad you don't make hockey cards anymore though. My wallet thanks you. Congratulations on the Magic auto /10. That is a very nice card! I really like the Crusade product this year.